A big economic development project in eastern Iowa is thriving after just a year in operation with plans to add to the staff. 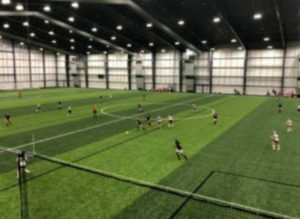 The $50 million TBK Bank Sports Complex opened in Bettendorf last April and now attracts between 2,500 and 5,000 people each week. Marketing director Mick Dalton says people flock in to play all sorts of indoor and outdoor sports, then they hang around. During the winter, the complex employed about 140 people, but by summer, that will increase by 30 to 40. 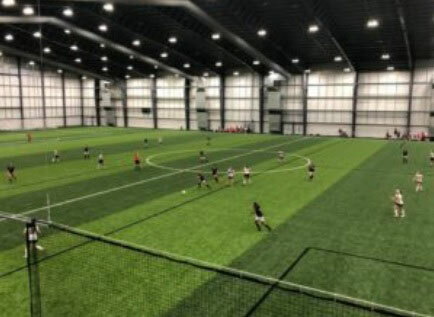 The indoor complex contains a soccer field, eight basketball/volleyball courts, four sand volleyball courts and 32 bowling lanes, in addition to a fitness gym, restaurant and arcade. Outdoors, there are two soccer fields, five sand volleyball courts and ten baseball diamonds. Dalton says families with kids love the place. “All the different lazer tag and escape rooms and the cool arcade in High Five really makes it a complete destination for these types of families,” he says. The complex sits on 74 acres of land with plenty of room to grow. Dalton says they’re discussing a number of activities to add in the future. Dalton says visitors are also frequenting new businesses that have opened nearby, including a coffee shop and restaurants, plus, a hotel is under construction and a sporting goods store plans to move there from downtown Moline, Illinois.